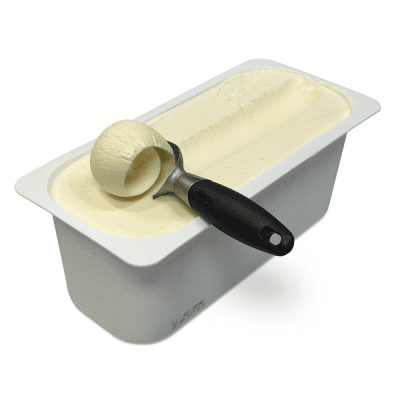 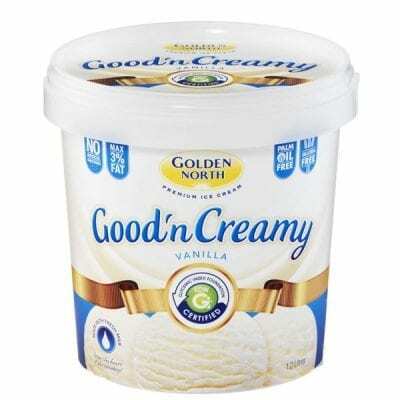 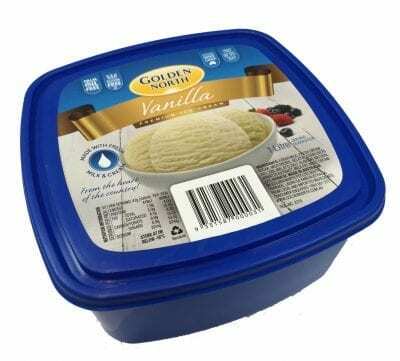 Premium Vanilla ice cream made from fresh milk and cream in a 125ml cup. 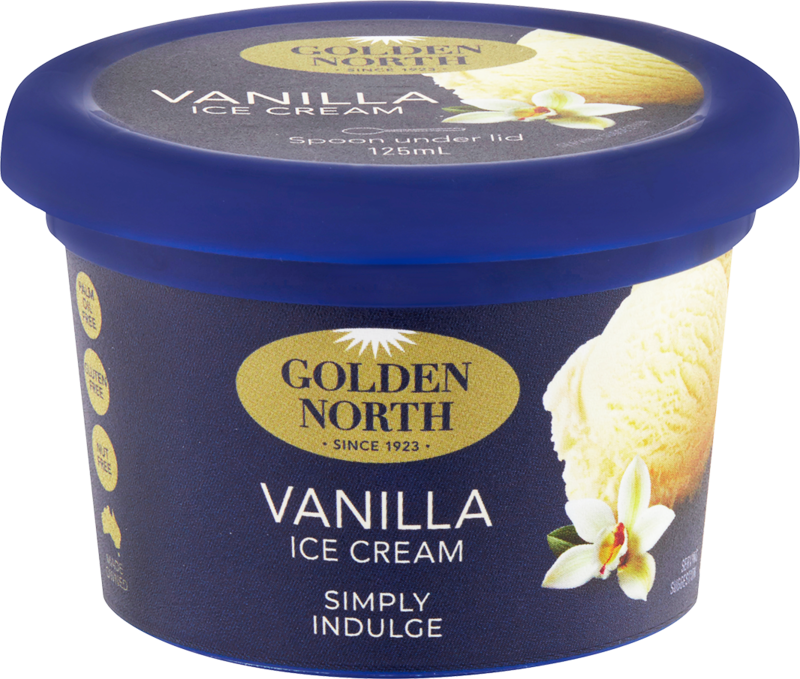 Available in our award winning Vanilla Ice Cream flavour. 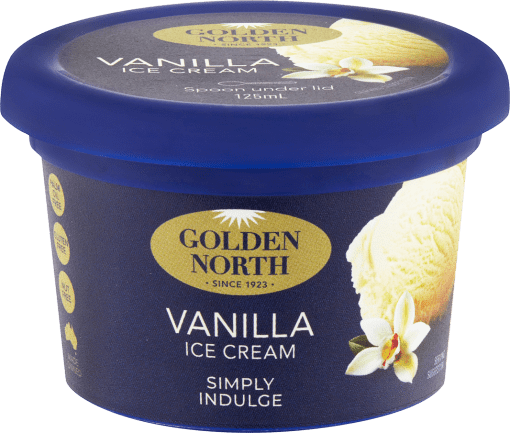 Ingredients: Fresh Milk, Fresh Cream, Liquid Sugar (Sugar, Water), Milk Solids, Gelatin, Vegetable Gum (401, 339, 466), Emulsifier (471), Salt, Flavour, Natural Annatto Extract.